It should come as no surprise that Cape Cod offers a number of casual and romantic waterfront dining experiences that feature spectacular views and sunsets, along with the freshest seafood and fish, premium steaks, burgers and, of course, fried clams. Best of all, you won’t need to travel far from your base at the Seadar Inn to find a restaurant that suits your mood. Whether it’s dining on an outside deck, sipping craft cocktails at an open-air waterside bar or enjoying a special evening at a five-star restaurant, you’ll find plenty of choices from the moment you cross over the bridge. Brax Landing in Harwich Port has been a local staple for decades. 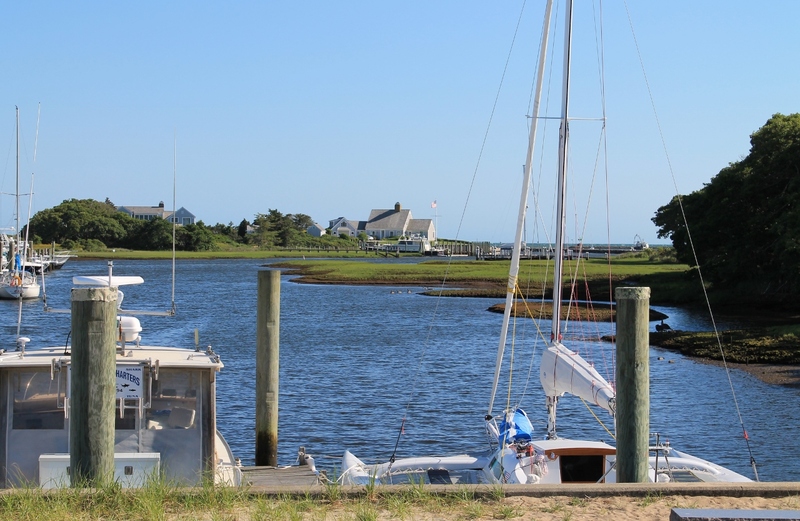 Overlooking scenic Saquatucket Harbor, it boasts breathtaking views in a rustic setting. The “Brax,” as locals call it, isn’t fancy, but the views are stunning and the food is fresh and mouthwatering. The Outer Bar at the Wequassett Resort and Golf Club in Harwich features a spacious deck and a circular open-air bar with picturesque views of Pleasant Bay, and is one of the Cape’s hippest spots. 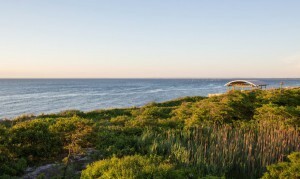 Just down the road in Chatham is the Beach House Grille, located on the grounds of the Chatham Bars Inn, where on summer evenings you can order a traditional New England clambake while savoring the sunset. The Beach Bar at the Ocean Edge Resort and Golf Club in Brewster is a relatively recent addition to the waterfront scene. 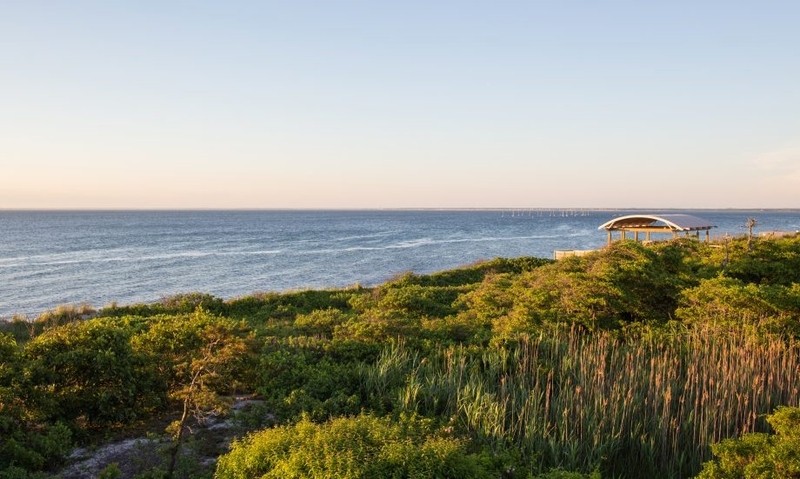 Perched atop the dunes of Cape Cod Bay, the 32-seat bar offers undisturbed, panoramic views of the bay and is just steps from a sandy beach. On clear days, Provincetown can be seen on the horizon, and each night, the dramatically changing tide makes for a picturesque sunset. The menu features a selection of burgers, sandwiches and light snacks, along with a variety of specialty cocktails. 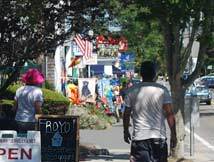 Further down Cape is Pearl, located at Wellfleet Harbor and within walking distance of the quaint downtown’s numerous art galleries. With a high-pitched ceiling and windows on three sides, the restaurant is light and airy. There are several decks for outdoor dining, all with great views of Cape Cod Bay. 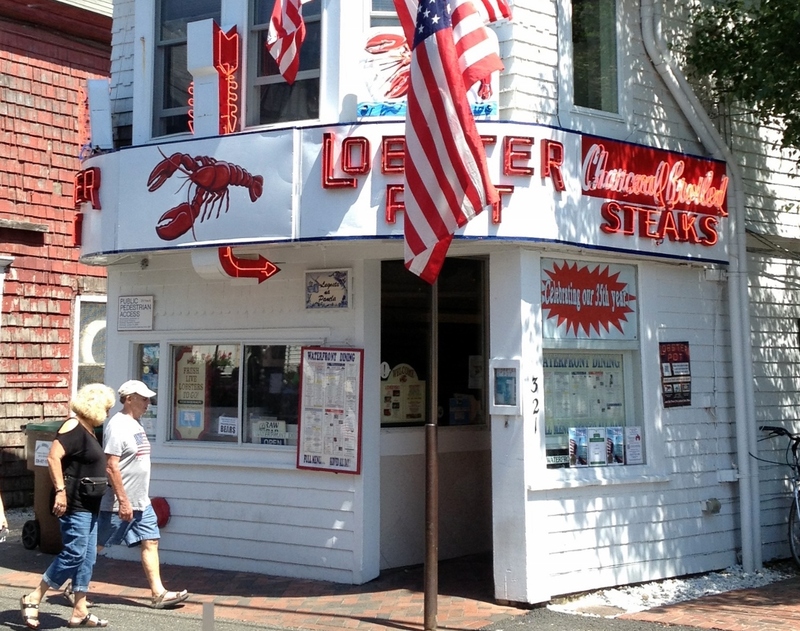 Few restaurants on Cape are more iconic than the Lobster Pot in Provincetown. With its 1950s-era façade, this Commercial Street property is a local landmark. It is also the place to go for lobster and other seafood specialties. Both the first- and second-floor dining rooms offer expansive harbor views, while the restaurant serves more than 200,000 customers from early April until late November. The Lobster Pot in Provincetown. Jennifer Kain DeFoe photo. You could head in the opposite direction to Clancy’s Restaurant in Dennisport, which overlooks Swan River and features lively Irish music. Every table in the house has a river view, but the place to be in the summer is on the outside deck. If you’re in the mood for romance, it’s hard to top the Ocean House in Dennis. Seven tables line the wall, each perfectly spaced at the center of a 5-foot-high window that offers views of Nantucket Sound. Diners enter through an archway, stepping down from the main dining room. 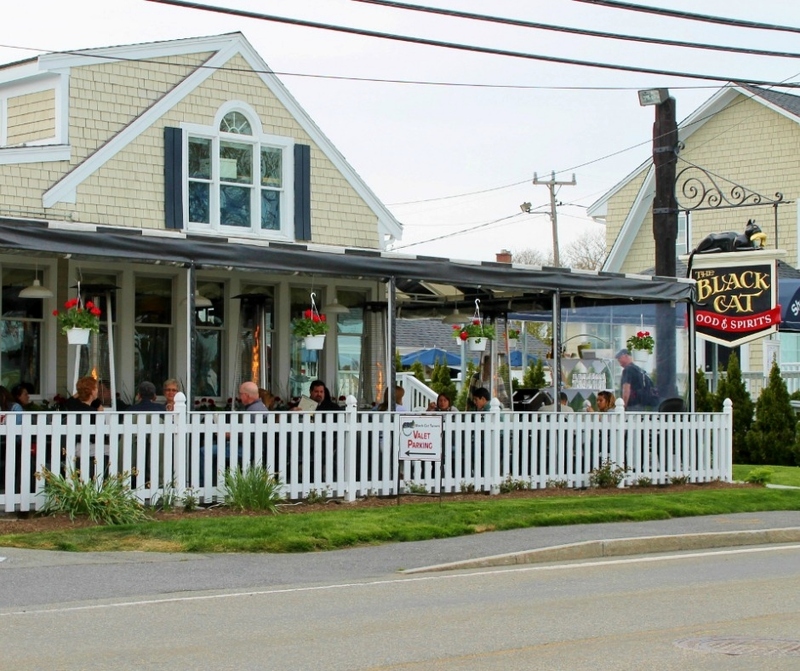 At the center of the Cape in Hyannis is the Black Cat Tavern, while just around the corner in West Yarmouth is Tugboats, both overlooking the harbor. The Black Cat sits across the street from the ferry terminal and includes an outside porch for dining and people-watching. Inside, there is a classic wooden bar, where live music is usually on tap, while an extensive menu offers the freshest seafood, burgers, steaks and one of the best stuffed quahogs anywhere. Tugboats, once a busy sail-loft, features three distinct dining areas and an open-air deck overlooking the water. The Black Cat Tavern in Hyannis. Jennifer Kain DeFoe photo. Further afield in Sandwich is Fishermen’s View Seafood Market & Restaurant, which opened in the summer of 2017. Set on the Cape Cod Canal, fishing boats are docked right outside the restaurant, so you can be confident that your fish is as fresh as can be. With so many waterfront options, there is no excuse not to pair fine dining with panoramic views whenever you visit Cape Cod.